The Upper Arlington Quarterly Magazine is a high gloss, 60 pound paper weight (high quality) magazine made up of local businesses and businesses that serve the area. Most of the businesses have an offer of some kind to draw in new business, and also use the coupons as a tracking tool. It is a great creative advertising medium as it is affordable, high quality, community oriented and localized, where the majority of local businesses get their customers from. The magazine has 12 or 16 pages which makes it easy for an ad to get noticed and is filled with colorful, professional looking ads designed by a local graphic artist with 20 years experience! It is direct mailed to 15,000 households and when homeowners see the magazine in their mailbox, they are curious and look through it! Ads will get noticed and people will use the coupons to save money! 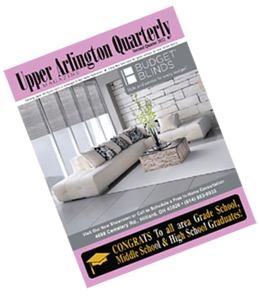 The Upper Arlington Quarterly Magazine mails to 15,000 residences in Upper Arlington and northwest Columbus north of Fishinger Rd. The northern boundary is Case Rd., the western boundary is Riverside Dr. and the eastern boundary is the Olentangy River. The primary zip code of distribution is 43220 with pockets of 43235 and 43214 north of Bethel Rd. between Godown Rd. and Olentangy River Rd. The City of Upper is a primarily residential suburb of Columbus, Ohio. It was founded approximately 90 years ago and is just under 10 square miles in size. Upper Arlington is comprised of just over 33,000 residents, with multiple generations of the same family living near each other in the community. There is a strong sense of tradition and community in Upper Arlington with an excellent school system and beautiful neighborhoods with mature trees and well-maintained homes. The community of Upper Arlington has often been a leader in setting the standard for quality of life in the Central Ohio area. If boasts an extensive and well-used network of community parks with a rich variety of recreational opportunities. Community gatherings and celebrations are plentiful in Upper Arlington and provide a great opportunity for local businesses to participate and foster goodwill with local residents. Among the most popular events are the resident-driven Fourth of July Parade, the Labor Day Arts Festival, Taste of UA, summer concerts and more. With an ideal central location in the Columbus area and close proximity to The Ohio State University, Upper Arlington residents are well educated and place great value on opportunities for continued learning and ensuring a quality education for their children. © 2017 Quarterly Magazine Concepts. All rights reserved.